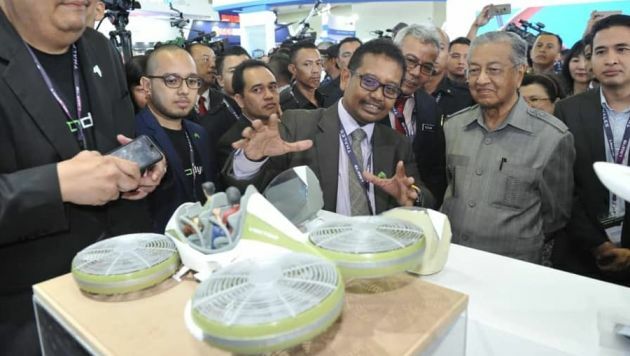 Social media was abuzz today over photos shared by the ministry of entrepeneur development (MED) on its Facebook page, in which prime minister Tun Dr Mahathir Mohamad was being shown a scale model of a flying vehicle prototype at the Langkawi International Maritime and Aerospace 2019 (LIMA 19) exhibition. The appearance of the Vector, as it’s called, at the show has led many to ask if this is the flying car that has been mentioned by entrepeneur development minister Datuk Seri Mohd Redzuan Yusof. Last month, he had announced that the country will be unveiling its first flying car prototype sometime this year. As it turns out, this is not the case, as Bernama reports. The company behind the Vector, Aerodyne Group, refuted the idea that the company was developing a flying car. According to Aerodyne’s business development and consulting senior director Imtyaz Mohd Azzat, the Vector is essentially a drone-based, point-to-point air mobility solution. He said the Vector has been designed to cover a variety of applications – aside from being able to carry a passenger load of two, it is also able to be used for cargo delivery and carry out flight-based surveillance duties. “The Vector is powered by four motors and a lithium-ion battery that enables the vehicle to fly. The vehicle can also carry approximately 150 to 200 kg of load and fly about 50 metres above ground level at 60 km/h, and has from 30 up to 90 minutes of flight time,” he told the national news agency. He said that the Vector prototype was slated to be ready to fly as early as June this year, but added that the market price had yet to be determined. Imtyaz said Aerodyne was grateful that the MED has been supportive of the project and very open to the idea of its development. So, it turns out that the so-called ‘flying car’ isn’t quite a car, but a flying transportation system. Of course, don’t expect the flying vehicle to go away just yet in the automotive scheme of things – yesterday, Rembau MP Khairy Jamaluddin tweeted a couple of photos of the revised National Automotive Policy (NAP), a draft of which was made available to MPs in parliament. In one photo, mention is made of establishing standards for flying vehicles. 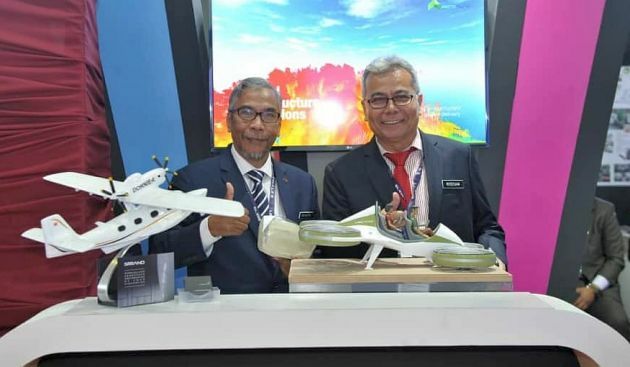 The post Flying vehicle ‘prototype’ emerges at LIMA 2019 appeared first on Paul Tan's Automotive News. 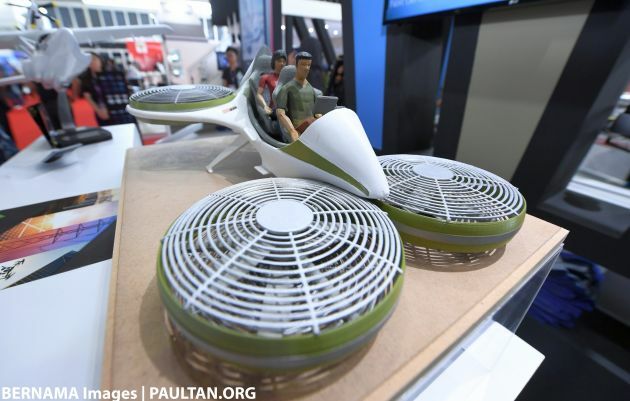 0 Response to "Flying vehicle ‘prototype’ emerges at LIMA 2019"